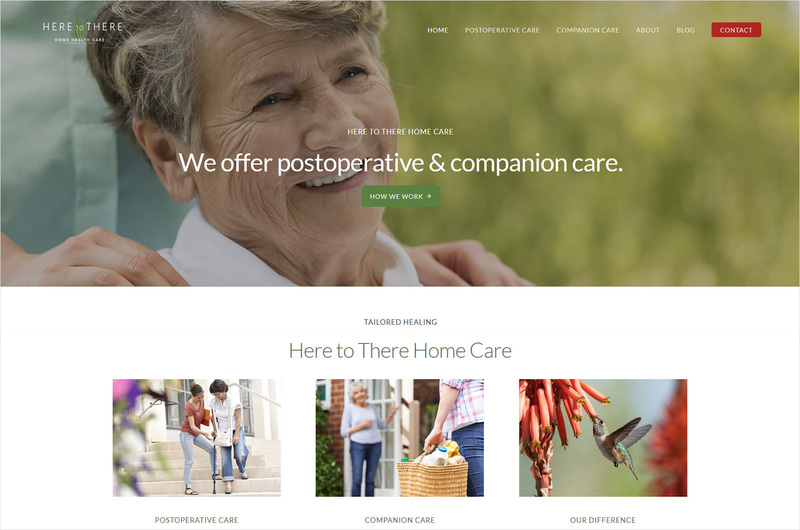 Heather Craven, a dear friend from Carbondale, Colorado, owns Here to There Home Care, which offers postoperative and companion care to people in Colorado’s Roaring Fork Valley. Heather performs professionally at all times, even under emergency circumstances. She is a wonderful person and we highly recommend her post operative services to anyone. It is clear: this is her calling. She needed a top-notch website to clearly explain her services, her differentiation, and to connect with current clients and potential new ones. Friends since college, Erin of Ruby Slipper was thrilled to be called in. The result? A strategic, beautiful, responsive, WordPress website built on the solid Genesis / StudioPress framework. Erin is the exact web designer I needed. Her guidance is gentle, yet motivating. Her eye for design is impeccable. Her work ethic is formidable. Erin is the best of the best and I'm so grateful to have the opportunity to work with her. I can't wait to share my new website with everybody I know!